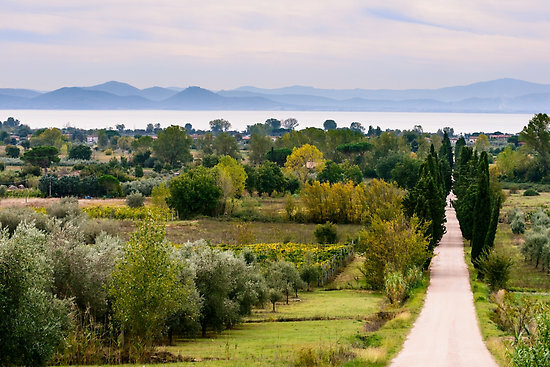 The route starting from Sanguineto, small cluster of houses located on the first hike into the hills of the valley between Tuoro and Mount Gualandro. It comes at Cà di Giano take the road up to Mount Gualandro. 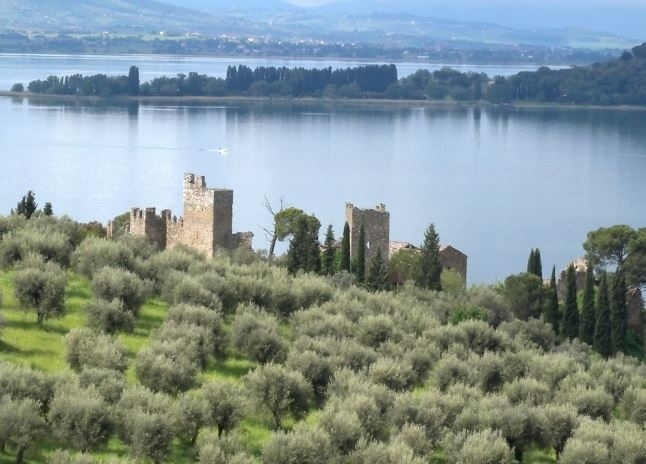 Walking among the olive trees, you reach the castle, from which you can admire the scenery of Lake Trasimeno and its islands and on the agricultural plain between Terontola and Castiglione del Lago. 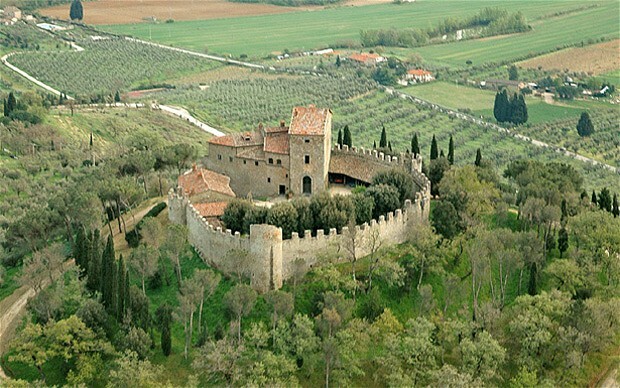 Continue walking into the woods along a path that will take you to border between Umbria and Tuscany with the view that gradually opens to the villages of Chianciano and Montepulciano. 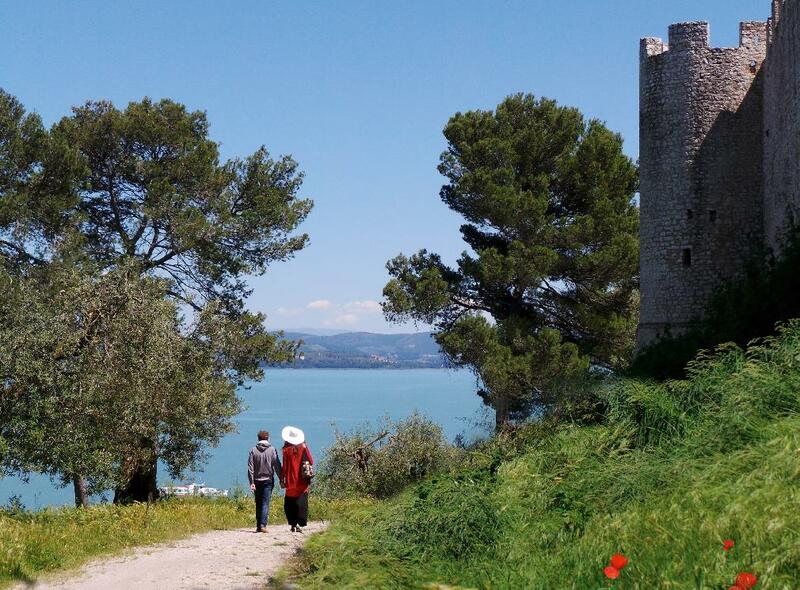 In the highest part of the trail, take a scenic path that Is divided between forested areas in the Mediterranean maquis. We then proceed to a path at times rocky and steep that descends to Sanguineto, then returned to the starting point.